Players line up at 1/2 way line. Player 1 sprints to the middle of the key, comes to a jump stop and then makes a lead out to the wing. Player 2 makes a pass to player 1 for a catch and shoot. After player 2 has made a pass they then sprint to the middle and the drill continues. 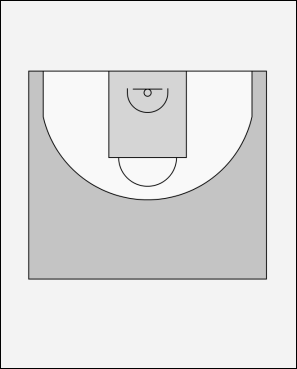 Players may lead to different spots on the floor.